New Pixi Beauty Multibalm Swatches, Review & Giveaway! Hi loves, I am so terribly sorry that I have not done a blog post in what seems like forever. 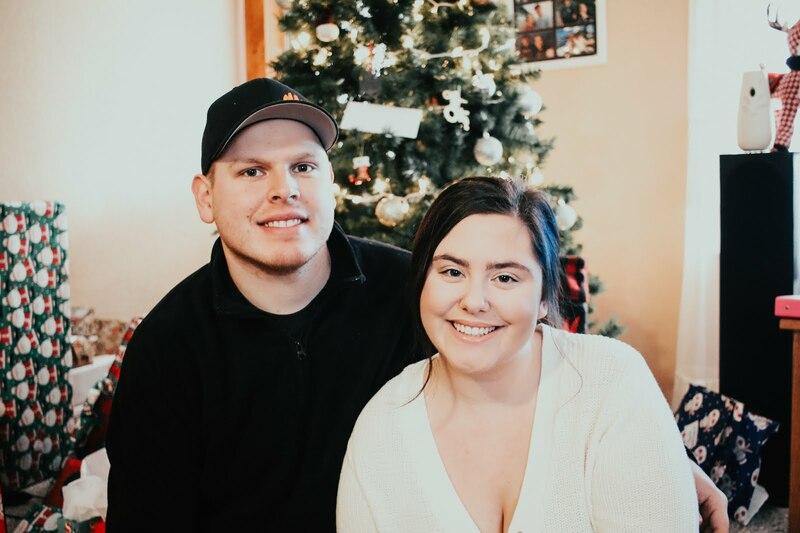 If you haven't heard, my boyfriend and I recently purchased a home! We are super excited to have a place to call our own. We rented an apartment for about three years and had just grown out of it, and we were ready for the next step into our future. So if you have moved or bought a house before, you know how crazy it is! But I realized that we will be living here for the next 20+ years, so I can slowly make changes, which gives me more time to do more blog post! So from here on out, I plan to post a lot more since I have tons of new products to share with you guys! For todays blog post, I am so excited to share with you the new Pixi Mulibalm's! They recently sent me all of the shades, and they also sent me doubles so I could do a giveaway. Which will be included in this post! (The giveaway details will be listed down below). 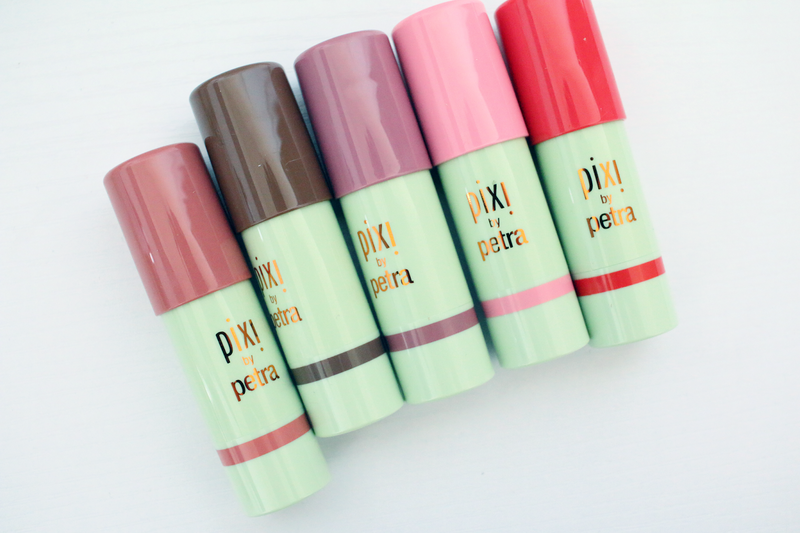 The Pixi Multibalm is a product that can be used both on your cheeks and lips. They come in a twist tube and have a cream texture. Some of the ingredients in these balms are aloe vera, shea butter and rose hip oil. I think the concept behind these are amazing. I am usually skeptical when it comes to two in one products, but these balms are incredible. They have a nice creamy texture, and also have very nice pigment. I prefer using these on my lips because I am not a fan of using cream blush, BUT I love using Sheer Sculpt as a cream contour. When I apply the balms to my face I like the blend them out using a damp beauty sponge or my finger tips. When it comes to using the cream contour shade, I prefer using a sponge over my finger tips. I didn't notice the texture feeling tacky or anything. 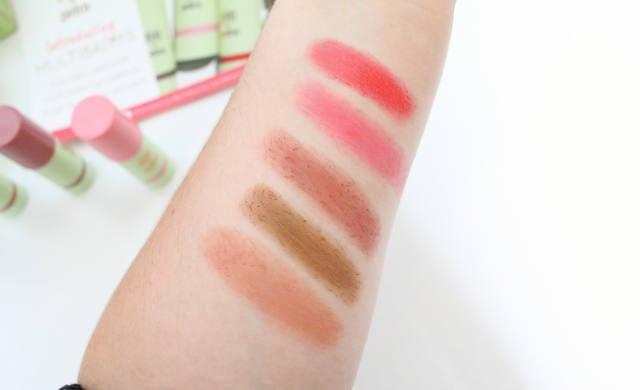 They are so easy to blend and a little product goes a long way. 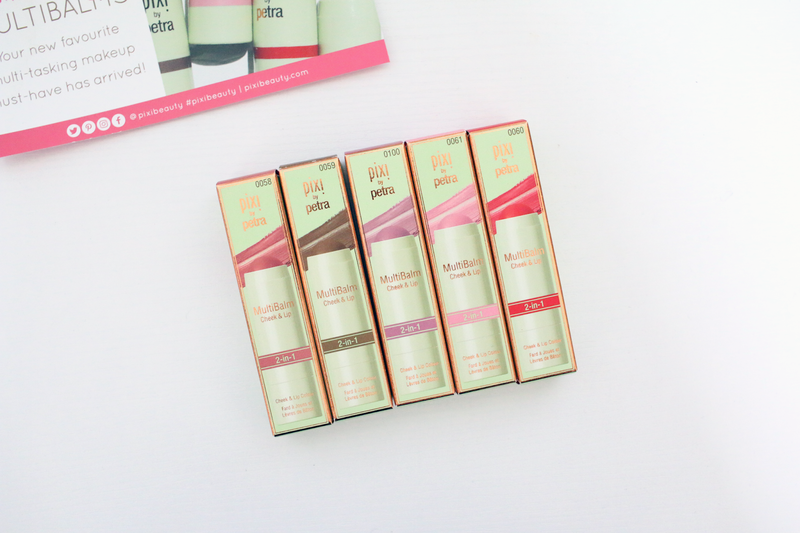 I am really excited about these balms, and I can't wait for one of you to win all 5 shades. Each shade retails for $12.00 and can be found at www.target.com. Rules for the giveaway: All you have to do is leave a comment below with what your favorite product is for the summer. I have other ways for you to earn bonus entries which do give you a better chance of winning. Also, you must be 18 years and older, or have your parents permission to join. The giveaway will end in exactly two weeks from today, so August 8th. And this giveaway is only open to the U.S. Right now I am loving the too faced liquid matte lipstick in Queen B! I feel like a Rockstar wearing it. Right now my favorite product is my cream highlighter from Essence. My favorite product right now is the Essence make me brow! It makes me feel put together and presentable. My favorite product for this summer is definitely my champagne pop highlight! I'm loving my Colourpop Churro highlighter. It's darker than I'd usually want since I'm so pale, but with sunless tanner the gold is perfect for a beachy look. I also use it as an eyeshadow!